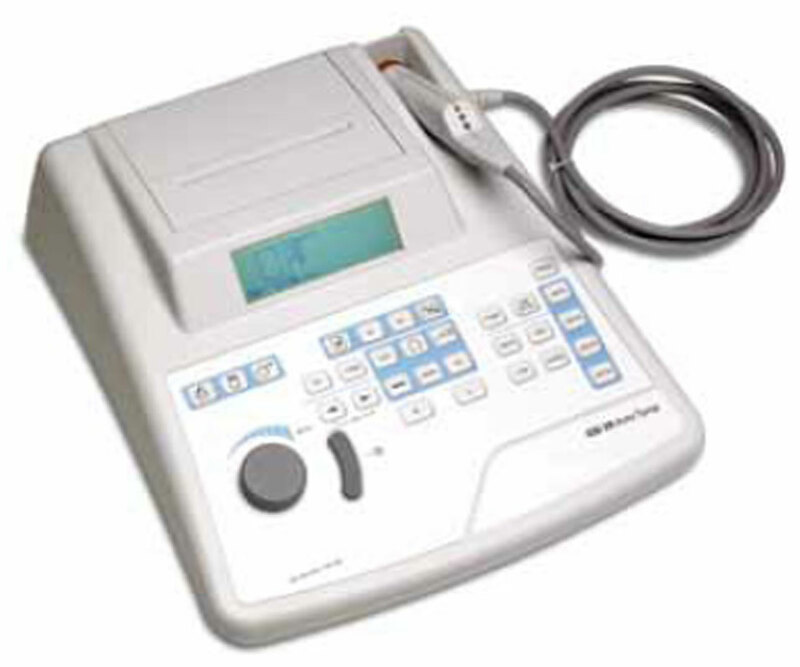 Diagnostic Impedance Meter | Ear Diagnostics, Inc. | Hearing Aids Philippines | Ear Diagnostics Inc. 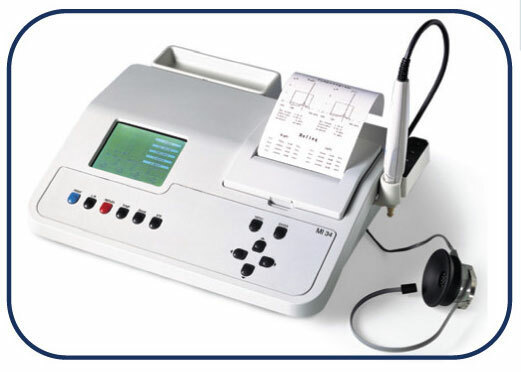 The GSI 39 Auto Tymp provides a flexible, screening product for tumapanometry, acoustic reflec measurements anf audiometry to meet your testing needs today and in the future. It is available in 5 different versions. Choose the features needed today and upgrade easily to the additional features as your needs grow in the future. These upgrades can be done in your facility by your local GSI authorized distributor. In addition, each version can also provide the option of 1kHz testing capability fot tympanometry (versions 1 through 5) and tympanometry/reflexes(ersions 1 through 4). The addition of 1 kHz allows tympanometry and tympanometry/reflex testing on babies under 6 months of age. This is a helpful tool when isolating the likely cause of a “refer” from a newborn hearing screening program. The GSI 39 Auto Tymp is lightweight and portable. It is deasigned to make detection and documentation of middle ear pathologies fast and accurate. The tympanograms and summary information are clearly shown on the crisp LCD once test is complere. LEDs on the probe guide the tester through th test sequence. 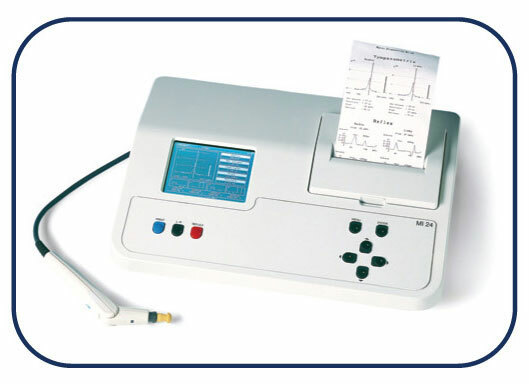 All the test results can be printed on the internat printer. The ASHA normal box can be shown as a guide on the display and prinouts, if desired. A hand held probe is provided with versions providing 226Hz only measurements. A special “combo” probe is supplied with all versions which combine both 226 Hz and 1 kHz measurement capability. An infant normal boz may be selected as a guide on the display and printours. These infant normal values are based on the published data by Margolis et al* and represent the 5th %, 50th % and 95th % values for full-term babies. Based upon the version selected, ipsilateral and contralateral reflex measurements may be performed along with 226Hz and 1kHz tympanometry. The frequencies available are 500, 1000, 2000 and 4000Hz for the 226Hz measurements. Any combination of ipsi and contra reflex measurements up to a maximum of 4 frewuencies may be selected with 226 hz and the optional 1 kHz probe tones. Both manual and automated audiometry are available with the GSI 39 versions 3 and 4. During manual audiometry, the operator controls the selection of frequencies signal format (steady, pulsed ad FM), intensity, tone presentation and identification of the hearing threshold values per frequency tested. For automated audiometry, the test protocol is selected in the Program mode and includes frequencies to be tested, signal format, intensity range and scoring rules. Once the test begins, the test sequence is controlled by the GSU 39 based upon the operation of the optional hand switch by the person being tested. The standard headset for Audiometry is the IDH 39. However, the EAR 3A or 5A insert phones may be added as an option. It is possible to store the calibration values for both the TDH and insert phones so that a button press select the transducer and its calibration. A maximum of 12 text results can be stored in the GSI 39 memory for review and selection for printout. The built-in printer is available with all versions; it provides the ability to obtain hard copies of all test result. Alternatively, the test results can be sent to an optional external printer cia the build in USB port/ An external desk jet printer which recognizes the PCL3 or PCL3GUI language format can be selected. Test results may also be transferred to an external computer for data storage via the second built in USB port. This data is made NOAG compatible with the optional GSI Audio Tymp Module for NOAH 3.1 and higher. Both the external computer and database programs are not included with the product.